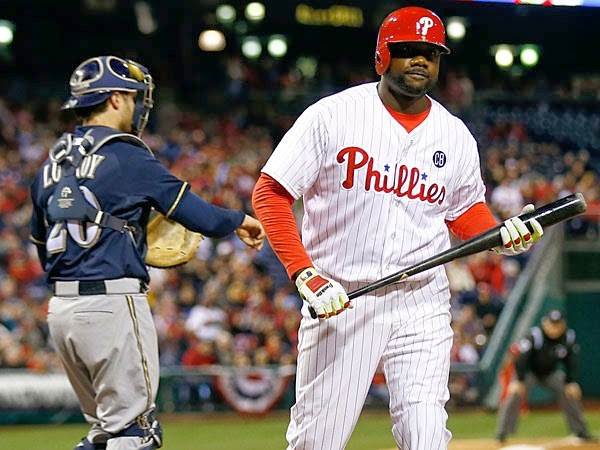 "Ryan Howard, seen here not making a critical late-game error, made a critical late-game error that allowed the go-ahead runs to score in a 9-4 loss to the unbeatable Brewers of Milwaukee." I think the Phils are losing to Milwaukee to help the Sixers get a better draft pick than the Bucks. Oh it doesn't work that way? Maybe you should tell them that.